Betway has entered the e-sports scene with a bang since the launch of betway e-sports in 2015. 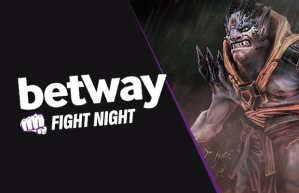 If you are a fan of e-sports, Betway will be a perfect fit for you! They offer a wide range of e-sports betting, and since they have many different categories of betting variations for all major e-sports, you can choose the kind of betting you enjoy. Betway is also the main sponsor for the CS GO team Ninjas in Pyjamas.  If you are interested in CSGO betting, we recommend Betway as one of the best betting companies in the business! Match winner is the most common and popular category, but there are also intriguing categories such as “First Blood” where you bet on the team that is able to first defeat an opposing player. You can also bet on Exact Score, a perfect category for the knowledgeable player. Betway also offers more advanced betting for the experienced e-sports fan. These kinds of bets include betting on the team you believe will win the first map in a game, or who you believe will be first to reach 10 kills in a game. New players at Betway get a 150% deposit bonus up to 1,500 SEK. The deposit bonus is limited to one person per household. In other words, it is not allowed to have more than one active account for the same IP address benefiting from the bonus. As is the case for many other betting companies, there are wagering requirements for bonuses. The bonus has a 6x wagering requirement, and the minimum bet for bonus wagering is 1.75+. Wagering must be met before you can withdraw any winnings from the bonus. Betway was founded in 2006 and is currently registered with a Maltese gambling license. Apart from being active in Sweden, Betway is also active in the UK, Germany, Denmark, Belgium, Italy, and Spain. Since starting out, Betway has focused on odds and betting, but they also offer other gambling activities, such as online casino, live casino, poker, bingo, and last but not least, betting in most sports. You can always feel safe betting at Betway. When opening an account, you have to identify yourself and give them your name, national identification number, and residential address to prove that you are who you say you are, making sure that no one can use your name while playing except you. It is important for Betway to deliver a safe and secure experience, which is why they have also created a policy to protect players. In this policy, they also include their values about how they want to provide a safe betting environment for players. To make sure that no minors gain access to your account, Betway encourages players to use parental controls. Betway offers live betting for e-sports, something that separates them from many other betting companies. You can usually bet on between 1-3 games per day when there is no specific tournament going on. For larger tournaments, the range of live betting options is much greater. If you prefer to bet on e-sports on your mobile device, Betway has a user and mobile friendly website for mobile users. To make the mobile experience even better, they also have so called “responsive design” and HTTPS security that encrypts your information for extra security. You can also log into their application via both iOS and Android and easily navigate in their app. When using the mobile app, you get access to the latest results in a comfortable and easy way. The support can help you solve all kinds of issues that might arise when you use the services on the website, and they always provide help quickly and with great response time. You can reach support both via live chat, phone, and e-mail, meaning you can choose the method that fits you best. The Betway support is open 24/7 to ensure that you always can get help, no matter the time of day. If you have lost your password, we recommend that you contact customer support and ask them to guide you through the steps to restore your password. Questions regarding bonuses and wagering requirements are also best suited for the support. Live chat can be found to the right in the main page of the site. There are many different payment solutions to choose from when making deposits and withdrawals. To make a deposit or a withdrawal, you need an account as a transaction can only be made to a registered account. For withdrawals, you need to verify your identity in order to confirm that you are entitled to the money you have wagered on your account. Betway offers a great experience for anyone wanting to try out e-sports betting. They take e-sports seriously and do a great job to ensure that you feel safe in knowing that you always can get help if you have any questions or concerns. In their blog, they cover news from all over the e-sports world, giving you information about your favorite teams during major tournaments. We strongly recommend Betway to anyone looking for a great betting experience in e-sports. In our opinion, Betway is the market leader in e-sports betting!